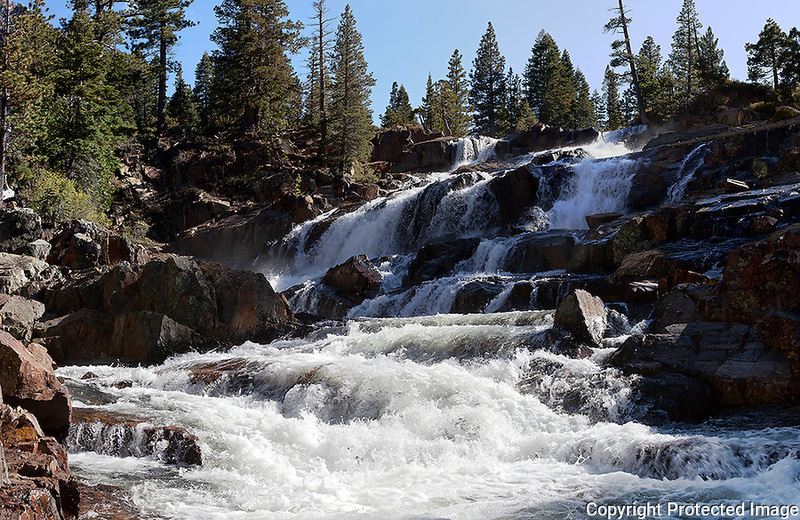 "Glen Alpine Falls" Waterfall- Fallen Leaf Lake in South Lake Tahoe, California. Glen Alpine Falls is located near the Fire Station next to Fallen Leaf Lake. I captured this photograph right after the last snow storm we had in May of 2014. The waterfall is easily accessible and is best visited in early spring.